Inject 4.0 - the next dimension - LAKARA d.o.o. Three years ago, with inject 4.0 ENGEL introduced its answer to the challenges of Industry 4.0. In the meantime, the terms smart machine, smart production and smart service have become established throughout the entire plastics in-dustry, and in many areas, the smart factory has arrived in practice. 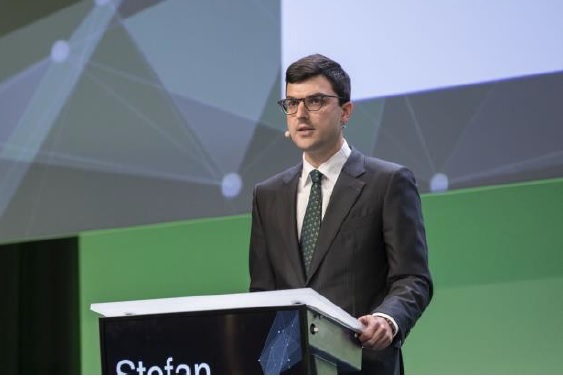 “It is now time for the next step”, announces Dr. Stefan Engleder, CEO of the ENGEL Group, at the ENGEL inject 4.0 Forum at the end of June in Linz, Austria. Mar-ketplaces will connect companies along the value chain and generate new products and services for the injection moulding industry. “The digital trans-formation is guiding inject 4.0 into a new dimension”, says Engleder. So far, the path to the smart factory has been focused on the function-related optimisation of individual value creation stages such as production and sales, and on indirect value creation areas such as maintenance management and quality assurance. To this end, machine and process data are collected and analysed, and the shop floor is vertically linked to the opera-tions management level on the basis of digital twins of the machines and systems. As a rule, the classic IIoT (Industrial Internet of Things) platforms for this are proprietary solutions. Inpractice, however, vertical platform structures are unable to meet the requirements of pro-cessing data from various provider systems and correlating these with the data from other companies. The role model are B2C marketplaces like Amazon or Google. Instead of handling physical assets and their related value creation activities, these companies act as intermediaries be-tween supply and demand, connecting marketplace participants with the help of digital tech-nologies. In order to generate new services, the platforms assemble a multitude of data. The capacity to process and analyse data constitutes the foundation on which to serve customer needs better and in a more targeted fashion. This trend is penetrating into the B2B sector, with the term marketplace also becoming es-tablished there. In future, market participants with the same, similar or complementary value streams will communicate through marketplaces, offer their products and technologies there, and include their suppliers as well as their customers in this network. The plastics processor using multiple systems from different providers will find all relevant information in a central location and can use the applications offered – so-called apps – with particular efficiency. “Horizontal networking provides the basis for new business models that supplement our cur-rent ones and offer added value to our customers”, says Engleder. ADAMOS, forexample, offers an industry-specific marketplace of this kind. It is a manufac-turer-agnostic, open platform that has been developed specifically for the requirements of machine engineering and its customers, and in which ENGEL also participates. The Austrian plastics industry is traditionally strong in innovation and is also among the pio-neers in terms of digital transformation. It is no coincidence that a pilot factory for interdisci-plinary, platform-based cooperation is being created at the Johannes Kepler University in Linz. Next year, the LIT Factory, in which, in addition to ENGEL, the companies Borealis, Covestro, Erema, FACC, Greiner, Leistriz, Motan, Siemens and others are participating, will commence operations. From theproduction of raw materials to the recycling of plastics products that are no longer needed, the platform of the LIT Factory includes the entire value chain. In this way, horizontal networking is helping to move other urgent future topics forward. One example is the closing of value streams. The Circular Economy requires an even closer cooperation of businesses along the value chain, which can be designed especially easily and efficiently on a market-place. “The digital transformation is guiding inject 4.0 into a new dimension. Horizontal networking provides the basis for new business models that supplement our current ones and offer added value to our customers”, says Dr. Stefan Engleder, CEO ENGEL Group. At inject 4.0 Forum, to which ENGEL has invited a select circle of innovation-driven inject 4.0 users, it once again becomes clear that digitalisation is not an end unto itself.